What Questions Should You Ask Your Solar Installer? In order to get the most optimal home solar power system for you, and have it correctly installed by a company you trust, so it operates at peak efficiency with minimal maintenance, while also looking good on your house, it’s important to pick the right solar installer. Because of the booming demand for rooftop solar, solar installation companies are popping up all over the place, contractors that normally handle other conventional electrical work are now offering solar as one of their services, and there are a slew of remodel and construction businesses that would love to have your solar business as well. In order to choose the right solar installer for you and your house, you need to spend a little time asking the right questions of any potential installer, so that you can make the most informed choice about going solar. Here’s a list of some key questions, in no particular order, to ask of anyone giving you a solar quote or doing a site evaluation (the answers to which could lead to more questions). Solar experience: Ask how many years they’ve been working in solar, and how many previous solar installations they have done, especially in your area. References: Can you visit any of their other installations to see their work? Can they provide customer testimonials or references? Are they affiliated with any other organization that can vouch for them (Chamber of Commerce, utility company, solar organization, etc.)? Do they have local references? Inspection: Will they inspect your roof as part of the quote, not just for its solar orientation and size, but to see if the condition of the roof is suitable for installing solar panels on it? Installing a solar power system rated for 30+ years on a roof that will need to be rebuilt soon is just asking for trouble, and could end up costing the owner more in the long run than if they had their roof repaired before solar installation. 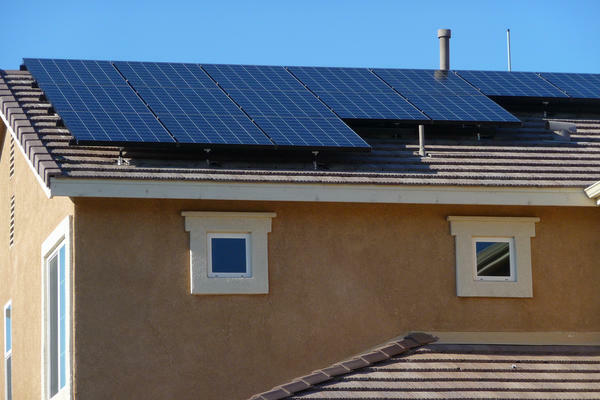 Licensed and insured: Are they licensed, bonded, and insured for solar panel installations? Will they or their employee be doing the work, or will it be subcontracted? Permitting: What is the solar permitting process in your city? How long does it take, and what are the fees? Will they be responsible for taking care of all of it? Solar incentives: What financial incentives for going solar would you qualify for in your city and state, and how would that affect the cost of the system? Who will be responsible for applying for them? Financing options: What sort of options are available to you for financing your solar system? What are the advantages or disadvantages of buying versus leasing solar panels? Equipment brands: What brands and models of solar panels and inverters does the installer use, and why? Warranty for equipment: What type and length of warranties do the solar panels and inverter have? Who handles any warranty claims and replacement of the items? How long will the inverter operate before it needs to be replaced? Warranty for installation: How long is the installation covered under the installer’s warranty? What’s the process for placing a claim with them? Size of solar system: Based on the available roof space, what size of solar system will fit on your house? What would the expected output be (kWh per year)? How much would that decrease your utility bill, on average? Maintenance and operation: What type of maintenance should be expected for the solar system to remain in optimal condition (washing of panels, etc. ), and how often? What will I need to know for its daily and long-term operation? Will I be able to monitor the output and performance of the system? Efficiency first: What other retrofits or changes can you make to your home or lifestyle, in order to reduce electricity demand before going solar? The closer your electric demand and the estimated output from your solar system are, the more effective it can be for you. How much will it cost? Although this is often the first question asked, because the total cost of the system is based on a number of factors, the answer isn’t as simple to understand as it might seem. Knowing that a system might cost $10,000 doesn’t tell you what you’re getting for that price, so it’s important to understand how the long-term cost for that system works, based on the expected output. A good standard to use for comparing system prices is cost per watt, which can be determining by dividing the total cost of the system (equipment and labor) by the rated power output. Get a solar quote from us! It’s fast and easy.